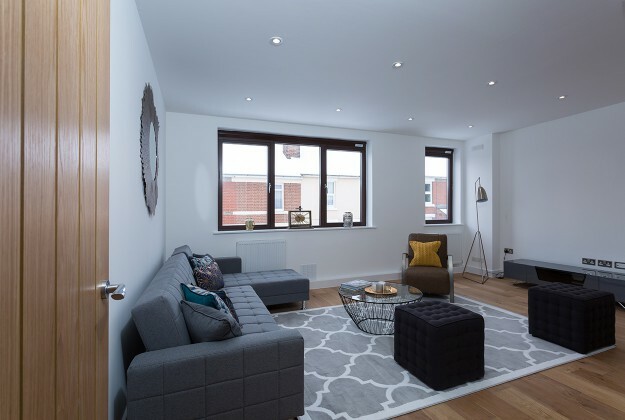 Livemore is delighted to have partnered Oak House Developments Ltd as Designers and Contract Administrators in the conversion of a tired office building into 22 modern residential apartments. We enjoyed a highly productive relationship with the Client who worked within the permitted development framework to secure planning permission. Completion of the Oak House conversion marks the first of a portfolio of projects to be developed. It was a pleasure to partner the client on such a development. We delivered a highly successful programme of works - carried out with minimal disruption to operations - transforming an ageing office building into modern residential properties. The development has been well received amongst the community with the majority of properties sold off plan.